Barbara J. Cordle is the Associate Broker of United Country Blue Ridge Land Auction. She is a native of Southwest Virginia where she met and married her husband of 47 years and raised her two children. Before entering the field of Real Estate, Barbara worked at a local bank for 22 years and served as Branch Manager. 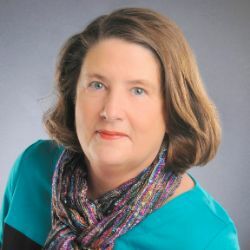 She began her career in real estate in 2000 and in 2006, she purchased the United Country Franchise in Abingdon, Virginia and opened her own company; United Country RealOne Realty. Barbara is a versatile, result-oriented real estate sales professional with experience in residential, residential with acreage, land, multi-family and commercial properties. Barbara has used her vast experience in Real Estate and Banking to obtain the United Country's 2002 & 2004 Pinnacle Club Agent Award, the 2007, 2009, 2010, 2014 & 2015 Diamond Award, the 2008 Summit Club Award, 2016 Summit Award, 2013 President Award and the 2011 & 2012 Master Salesman Award, as well as the SWVAR 2012, 2015, 2016 & 2017 Realtor Cup Winner as the Top Supporter of Homeownership & Property Rights for United Country RealOne Realty. She served on the Board of Directors for Southwest Virginia Association of Realtors for 4+ years and received the SWVAR 2011 & 2014 Community Service Award. In 2016 Barbara was inducted into the Southwest Virginia Association of Realtors® Volunteer Hall of Fame. Barbara is commitment to service excellence which meets the highest standards in the real estate industry.